Tomorrow night brings another great historical milestone for astronomy and for the possibility of discovering alien life. The newest Mars rover, Curiosity, will land on the red planet at 12:30 a.m. CT, Monday morning, August 6, 2012. This rover contains the Mars Science Laboratory (MSL), which NASA scientists will use to investigate if life existed or still exists on Mars. After it gets settled, the rover will bring the laboratory to Gale Crater to drill into Martian rock, collect and heat up dust, and examine the emitted gases to detect the minerals or organic molecules contained in the minerals. When watching the animated video of the Curiosity Rover landing, “Challenges of Getting to Mars: Curiosity’s Seven Minutes of Terror”, at the top of my blog post, I noticed that it wasn’t a “bouncing” landing like the earlier rover landing as shown in the NASA animated video of the 2003 Mars rover. The Curiosity Rover has a sky crane that will help it land slowly and safely in the rough terrain and to keep a dust cloud from damaging the instruments on the rover. Overnight, from Sunday, August 5, to Monday, August 6, the Austin Planetarium will host a free party to celebrate the landing of NASA’s Curiosity Rover at ND Studios as part of the Get curious campaign. 12:30 a.m. – Watch the Curiosity Rover touch down on the Mars surface!!!! I’m really looking forward to seeing the live landing. (Actually, almost live since it takes the rover’s signal 14 minutes to reach Earth.) It’s going to be a blast! Update: Hooray! The Mars rover, Curiosity, landed safely. How exciting to learn that Dr. John Grotzinger is a research scientist for the Mars Science Laboratory. 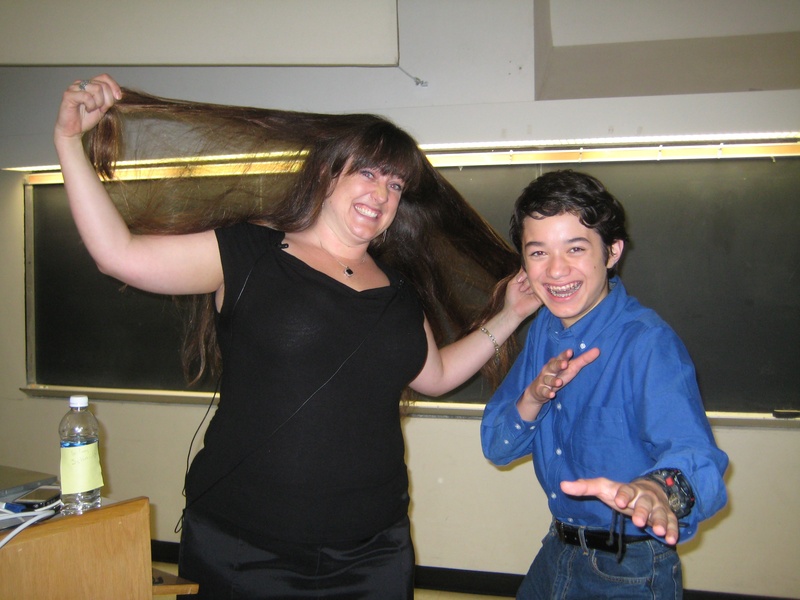 As young Commander Ben, I met Dr. Grotzinger in 2005 at a UT Austin Environmental Science Institute Hot Science. Cool Talks. presentation. You’ll find fun, interactive activities before every Hot Science – Cool Talks presentation. For example, before Dr. Schmidt’s talk, I entered the Austin Planetarium’s Discovery Dome. The speaker inside the planetarium used a computer to control a projector that led us through the night sky and zoomed in on Jupiter and its Galilean moons. P.S. 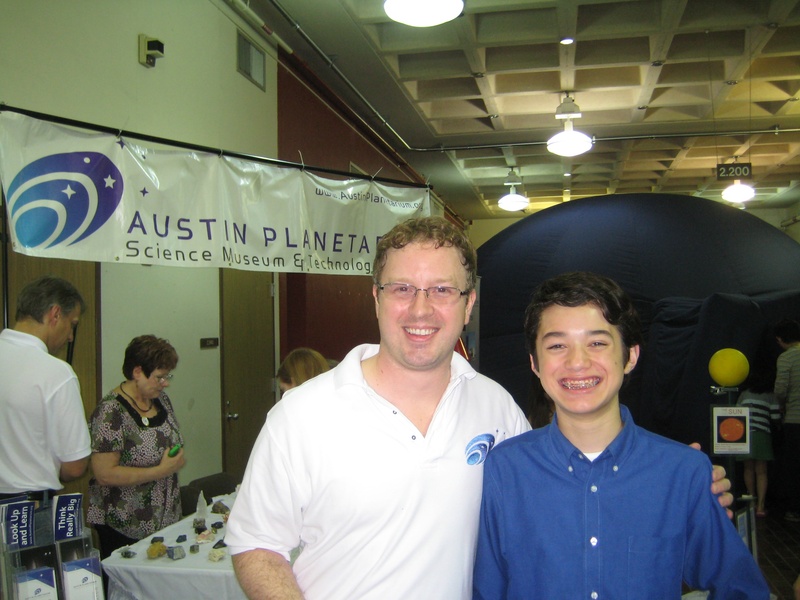 The Austin Planetarium team is working on building a world-class science and technology museum in Austin! What about life on Europa? Earlier this year, and I had the opportunity to interview Dr. Schimdt to talk about the possibility of life on Europa, one of Jupiter’s moons, as part of her Hot Science – Cool Talks presentation. Dr. Schmidt thought that if there was life on Mars, it existed in the past and we would only find fossils today. Europa may have a greater chance of having life currently because this moon contains liquid water under its frozen surface. Whether there’s life in space or not, there’s certainly life teeming in Austin for everyone who’s scientifically curious!